If you’ve never had a ‘street taco’ before, then I’d start with these. Street tacos are essentially corn tortilla tacos loaded with flavorful meat, fish, shrimp and/or veggies. I love the flavor of the pork, salsa verde, goat cheese and jalapenos in these tacos. DELISH! 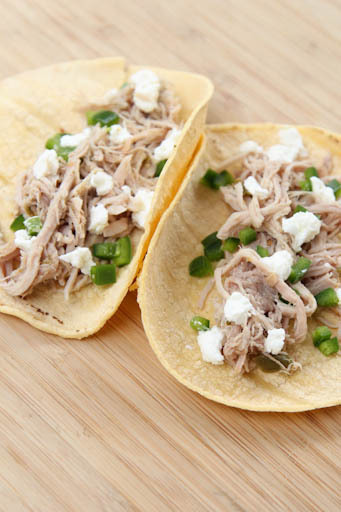 Get the full recipe for Salsa Verde Shredded Pork Tacos here.